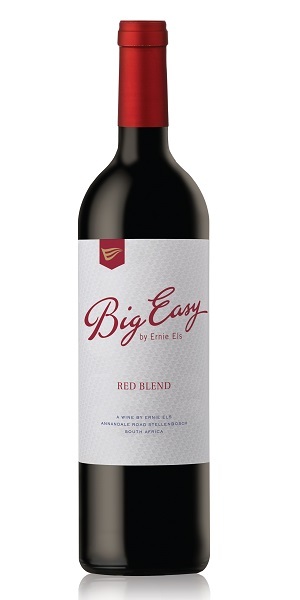 The 2017 Ernie Els Big Easy is arguably the most serious and riveting vintage yet. The dry vintage was conducive to producing a superbly concentrated, beguiling wines that dazzle the senses. It is a shade darker with a black core, offering a brooding nose that takes time to unfold. Complexity is revealed with elegantly ripe black berry, liquorice, fine Chinese spice and smoked herbs. A majority of Shiraz in the blend cloaks the palate with fruit-laden tannins, covered in melted milk chocolate and Morello cherries. 20% Cabernet Sauvignon adds a backbone of minerality and definition, while equal parts of Cinsault, Mouvèdre, Grenache and Viognier add a Mediterranean feel. It shows solid grip and power in its youth, suggesting up to a decade of maturation. string(234) "A combination of varieties said to produce a more rounded or complete expression of the vineyard or estate. Some of the very greatest wines in the world are blends, including red and white Bordeaux, Châteauneuf-du-Pape and Champagne."